Garland trays are a great purchase which can serve a number of purposes. 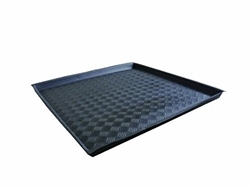 A main function of the trays is to hold a number of pots which will catch excess fluids or mess that is not able to be contained within the pots. 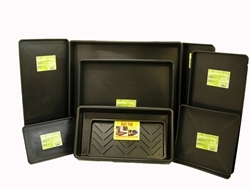 These trays can be used to transport pots from place to place or simply house pots throughout the grow cycle. Garland trays are offered in a numbers of shapes and sizes.